Wessels & Smith Attorneys is one of the most respected and reputable companies of attorneys regarded highly for its level of uncompromised professional and ethical service excellence. Our company is known to serve our clients’ interest as if it were our own by offering value added and cost effective solutions to all legal problems. In October 1950, Jannie Wessels was requested by the Welkom Township Company to open the first legal firm to serve the newly established township of Welkom. 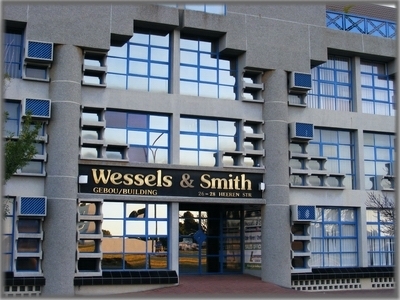 Since the early days of Welkom and the Free State Goldfields, the firm, which became known as Wessels & Smith in 1955, has flourished developing a reputation for service excellence with the Welkom business community as well as the public at large. Specialisation has become the cornerstone of the firm's ethos. Today the firm provides a wide variety of legal services covering almost all facets of the law. Please follow the link above to visit our website.